With medical and recreational marijuana legalization sweeping the west coast and infiltrating all corners of the U.S., attention is turning toward career opportunities in the cannabis industry. San Francisco marijuana dispensary jobs are literally popping up everywhere. Many individuals feel that a marijuana dispensary is the perfect place to work, but don’t have an extensive background on what job opportunities exist or how to go about acquiring San Francisco marijuana dispensary jobs at their dispensary of choice. It helps first and foremost to gain a good understanding of what the most common job positions are and the daily tasks they involve, as well as what qualities employers seek in potential applicants. Before detailing San Francisco marijuana dispensary jobs, let’s break down what a dispensary is, debunking any myths or misnomers regarding the businesses. Marijuana dispensaries, also referred to as collectives or cannabis clubs, are state and municipally regulated retail establishments for medical and/or recreational marijuana sale. Dispensaries sell for personal use and can only distribute a limited number of ounces of marijuana flower and concentrations of other products like hash oil and edibles. According to Wikipedia, marijuana dispensaries are modeled after “cannabis cafe’s” in Amsterdam from the 1970’s. Today in states where medical and/or recreational cannabis is legal, dispensaries guide patients (or their caregivers) and rec. consumers through the process of selecting and purchasing cannabis products and paraphernalia. Though strictly regulated, dispensaries are independent businesses that allow for private capital gain of owners and shareholders. There are significant differences in legislation between medical and recreational dispensaries and each state varies in its laws, yet the experience of visiting any dispensary is fairly congruent from one shop to the next, given a knowledgeable and friendly staff. Sites like Leafly and Weedmaps use their location based services to compile dispensaries in any given area, categorizing them to make the process easier for both medical patients and recreational consumers. What Marijuana Dispensary Jobs Are There? Odds are, more dispensary job seekers are at least familiar with the responsibilities of the positions they’re applying for, but it’s important to recognize why each role exists and how it can contribute to the success (or failure) of the business. “Budtending” is swiftly becoming commonplace in mainstream rhetoric, referring to the much sought after position of selling marijuana products to consumers. As such, budtenders are the smile of the cannabis industry and play a necessary role in the marijuana supply/demand chain. While it might be common knowledge that a budtender is responsible for supplying customers and processing transactions, few are aware of just how important this job is for medical and recreational customers alike. As this position is predominantly service based, budtenders must be knowledgeable about cannabis and confident in customer service. Not only should the budtender have extensive knowledge and experience concerning a wide variety of cannabis products and paraphernalia, they should also be familiar with individual marijuana strains, in order to suggest the correct medicine or product to suit the needs of their patients and customers. A successful budtender is able to walk the novice customer and the experienced stoner through an array of options, answering any questions or concerns along the way, or referring customers to their supervisor if they are unsure. Budtending is involved work and requires energy and legitimate enthusiasm. A great budtender is just as much of a reason to make frequent visits to a dispensary as an unhelpful budtender is to never return again. Aside from direct customer responsibilities, Budtenders maintain shop and display cleanliness, restocking and pre-rolling joints. Some dispensaries require budtenders to update online menus and social media accounts and roll “pre-rolled” joints. Other tasks may be assigned to budtenders by supervisors as needed. Compensation for entry-level budtending jobs can range anywhere from minimum wage to around fifteen dollars per hour plus tips. Opportunities for raises and promotion is often available based on level of experience and consistency in performance. A receptionist is most likely the first employee you’ll see at a San Francisco dispensary. Receptionist San Francisco marijuana dispensary jobs require all the necessary qualifications of working any similar administrative position with the added responsibility of being familiar with all government regulations surrounding California and San Francisco state and municipal cannabis legislation. Receptionists greet customers and help them through the process of getting checked in. This includes processing all forms of ID and medical cards, while maintaining organized online files. Data entry is a necessary aspect of this position, requiring employees to efficiently convey and record messages and other information. Receptionists are responsible for communicating professionally in person, over the phone and via email. Receptionists must have to field a diverse array of questions and relay specific inquiries to their supervisors and managers, as well queue patients and customers in the waiting room until it is their turn to be helped. Having a background working with word processors and spreadsheets is useful, as well as experience with different online office and organization tools. How Much Do Marijuana Dispensary Receptionists Make? Like budtending, reception positions start at minimum wage and increase from there. Dispensary managers are key players in elevating a shop from good to great. Managers wear many hats as reflected in their daily tasks. Not only do managers interact directly with customers, they also are responsible for hiring, training, leading and scheduling a group of subordinates. Managers must be able to step in to support their employees and customers in order to keep harmony in the dispensary and provide the best service possible. Managers also play a role in inventory and ordering, and be extremely knowledgeable about all things cannabis related. Especially if the dispensary owner is not present, managers must be the authority on all the products and services the store offers. Unlike budtending or reception, dispensary management is not an entry level position. A background in management/supervision and experience in the marijuana industry is essential. Some San Francisco dispensaries choose to promote from within, encouraging a dedicated, long term group of employees. How Much Do Marijuana Dispensary Managers Make? Manager compensation can be competitive as this position can be the make or break for a dispensary. Since it requires some experience to be considered for this position, there may be opportunity for wage negotiation. 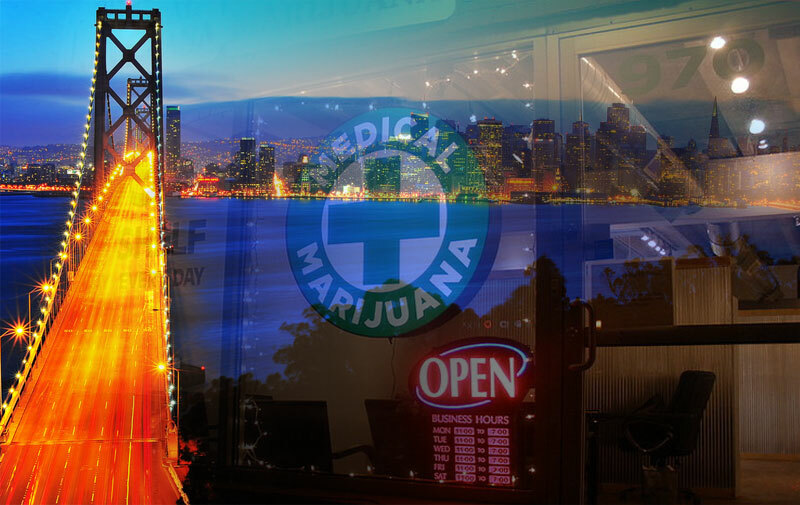 Owning a San Francisco marijuana dispensary, is an extensive and ultimately, beneficial process. Out of all San Francisco marijuana dispensary jobs, this position offers the highest possible economic gain, it offers potentially the greatest personal loss as well. Owning any business is a tough endeavor, not to mention owning a marijuana dispensary which is a field entrenched in politics and regulation. Feel free to visit ca.gov for more information on starting a business. With so much room for growth, confident dispensary owners are willing to take a risk with hopes of capitalizing off a highly desired product. While many people with sufficient capital could potentially open a dispensary, it is mainly those with experience in the marijuana business, as well as a keen business savvy, that succeed among the competition. How Much Do Marijuana Dispensary Owners Make? Payout for dispensary owners ranges dramatically, but you get out what you put in! While the above positions represent the most common that you’ll find in any given dispensary, there are additional careers in security, social media and marketing and delivery, among others! San Francisco Marijuana Dispensary Jobs: What Now? To find out more about San Francisco marijuana dispensary jobs, continue to do research online and in person! Talk to your local budtender or receptionist–ask them what it’s like working for a dispensary. They might even give you tips for when you decide to apply. Keep up with current regulations and knowledge of marijuana products and strains. The only way to know if you’re qualified is to apply!